THANKS to everyone who came to the Open House! 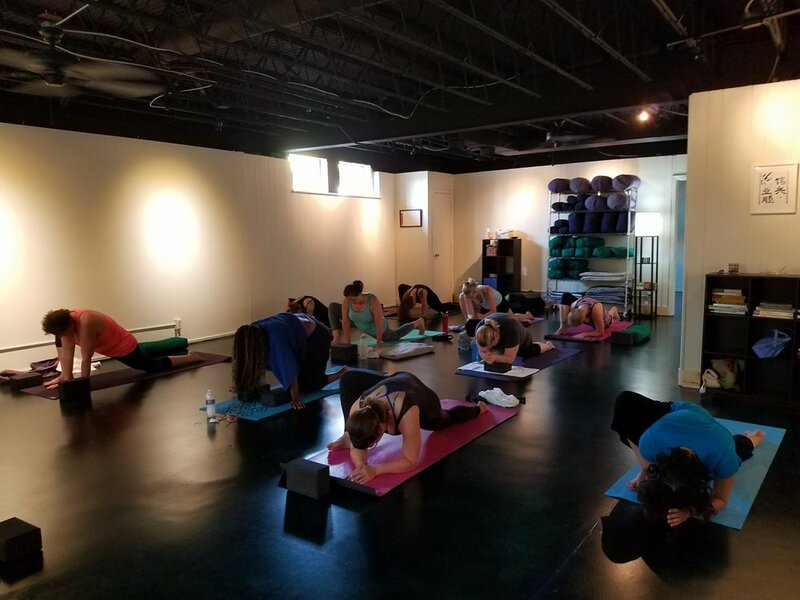 We enjoyed a great yoga class guided by Abi followed by tastings from Simple Science Juices, canihaveabite, and Woodyard's Bar-B-Que, complimented by Frank's Famous Hummus, and other yummy treats as well as great information from doTERRA essential oils and CBD Plus!! Kudos to my good friends Rick Kloog on the Hand Pan and Rosie Marie Therapies for your loving touch! Did you know we now have 3 donation based community classes a week? This months donations go to The Justice Project of KC. Providing ciminal justice/social service advocacy and navigational learning for women and transgender women in poverty, the Justice Project helps women who suffer from a multitude of challenges including homelessnes, prostitution, sexual exploitation, discrimination, mental illness, and domestic violence.